Did you know that you can change your username? 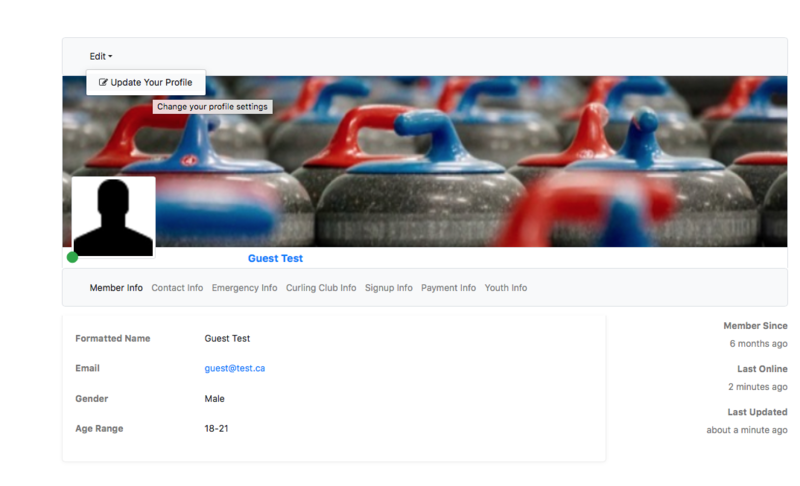 Background - When we initially populated our member database with all of last season's members, spares and wait listed curlers, we created usernames all in the format of 'firstname_lastname'. 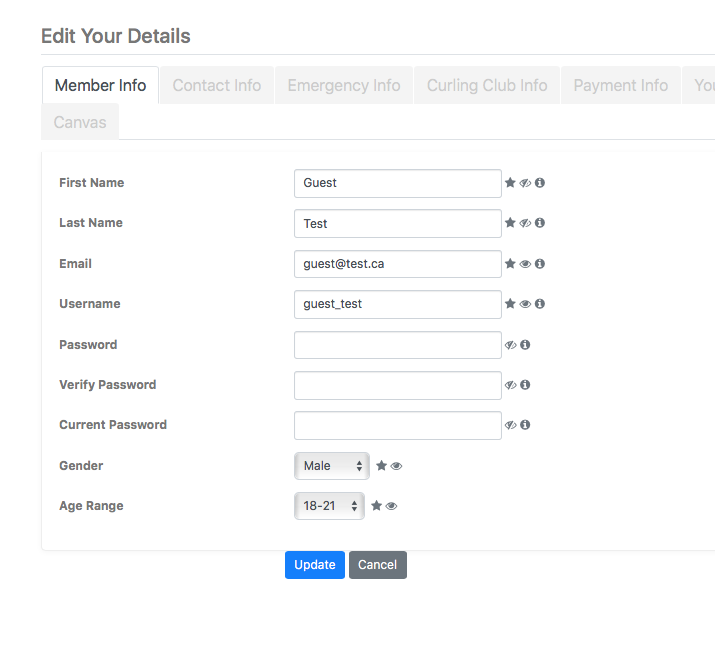 Similar to how you can change your password, you must be logged into your member account on the website to change your username. Select the 'My Information' option from the MEMBER'S HOME menu. Make sure you click on the tab for "Member Info". Then, look just above your profile picture, top right above the picture of the curling rocks.... mouseover (move your cursor over) the word 'Edit' and click on 'Update my Profile'. This action will open up each of the fields that you may edit on your profile. Type in the username you wish to use, and then click on the blue UPDATE button at the bottom. Don't forget to make a note of the change, as you will need to use the new username next time you open the CCM APP on your mobile device as well. Did you know that Usernames are NOT case sensitive, but Passwords are? It won't matter if you type FIRST_LAST or first_last or any combination of lower and upper case letters, the system will still log you in as long as your password is entered EXACTLY as you typed it when you first set it up.